Posted in: Accurate self-view, Imperfection, Seeing clearly, Self Esteem. Tagged: Accurate view, living life fully, self-conscious. In retrospect it’s clear my “like me, please!” demeanor of most of my life was a smoke screen for the brooding malcontent I actually was. Nothing was ever just right or good enough, especially about myself. I was never content with anything or anyone, especially “me” for more than a short period of time. Ninety eight things could be just right but I’d focus on the two that weren’t and magnify them to be larger than all the other’s combined. This made me a somewhere in the range of a perpetual “fault-finder” and “defect inspector”. Now some years into codependency recovery it’s clear to see imperfection abounds and to a large degree is what makes the world vibrant. 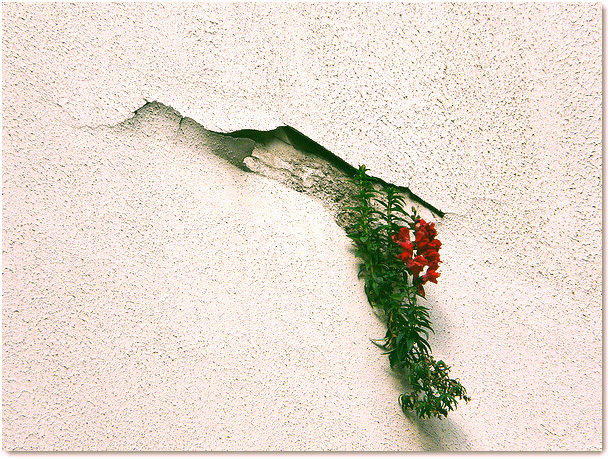 The cracks and off-center parts lend creativity to life and make it interestingly colorful. “I” and everything and everyone around me is far from perfect and can never be “just right”. Thank goodness! How boring and bland living would be if all was the same and all around was nothing but carbon copies.